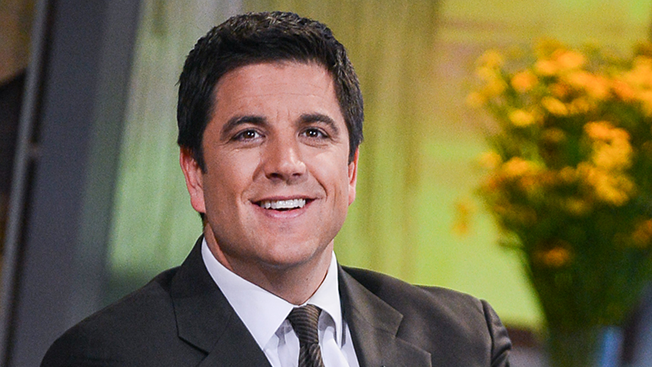 For the second time in the span of four months, ABC’s Good Morning America is weathering a defection in its ranks, as co-anchor Josh Elliott has left the show for a job at NBC Sports. Effective Monday, March 31, ABC News correspondent Amy Robach will assume Elliott’s GMA post, joining Robin Roberts, George Stephanopoulos and the rest of the five-person crew. While ABC did not disclose the offer it made to Elliott, insiders said that the 42-year-old believed that he was worth twice as much as what ABC offered—or as much as $10 million per year. Elliott’s departure comes on the heels of lifestyle anchor Lara Spencer’s re-upping with GMA last Thursday in a multiyear deal. In December, veteran GMA weatherman Sam Champion left the show for a job at NBCUniversal’s Weather Channel. Champion was replaced by Ginger Zee. In November, Robach revealed on-air that she has been diagnosed with breast cancer. She returned to the show the following month after having undergone a bilateral mastectomy and reconstructive surgery. While details of Elliott’s NBC Sports gig were unavailable at press time, a standard noncompete clause in his contract could keep him off the air until early October. An official announcement from NBC is expected to arrive on Monday. Season to date, GMA is delivering its biggest overall audience in more than 22 years and is putting up its strongest numbers in the target adults 25-54 since 2005-06.